Mahogany color. Aromas and flavors of pumpernickel with herb compound butter, sweet yogurt with shaved chocolate, bananas on toast, and apple pastry with a silky, crisp, finely carbonated, dry-yet-fruity medium body and a peppery, interesting, medium-long finish that presents notes of spiced fruits and roasted almond finish. A Belgian strong ale with perky herbal notes balanced by rich roasty malt. 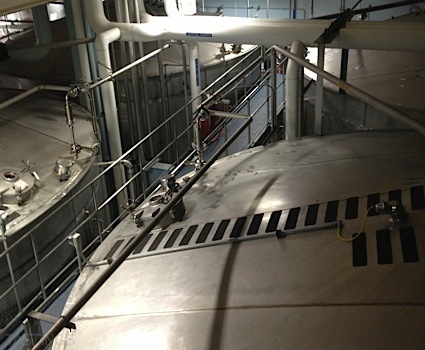 Bottom Line: A Belgian strong ale with perky herbal notes balanced by rich roasty malt. 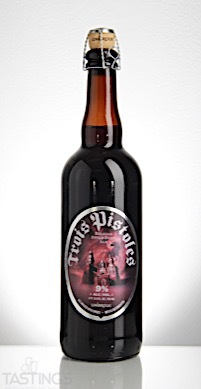 Unibroue Trois Pistoles Belgian-Style Dark Ale rating was calculated by tastings.com to be 94 points out of 100 on 8/14/2018. Please note that MSRP may have changed since the date of our review.